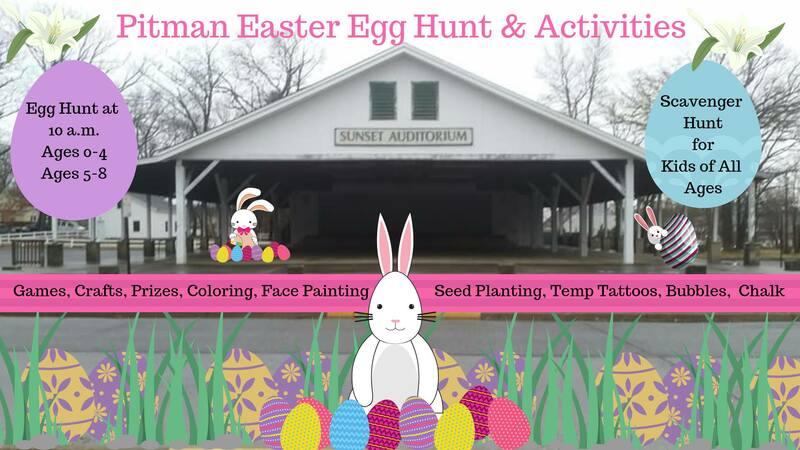 Please join us on Saturday, April 13, from 10 a.m. to 12 p.m. at Sunset Auditorium & Shertel Park on Laurel Avenue for lots of fun FREE activities including an Egg Hunt, Games, a Garden Craft, Scavenger Hunt, Face Painting & More! Egg hunt at 10 a.m. for Ages 0 to 8 ONLY. Scavenger Hunt for Kids of All Ages.